The Joshinetsu (上信越）region of Honshu. 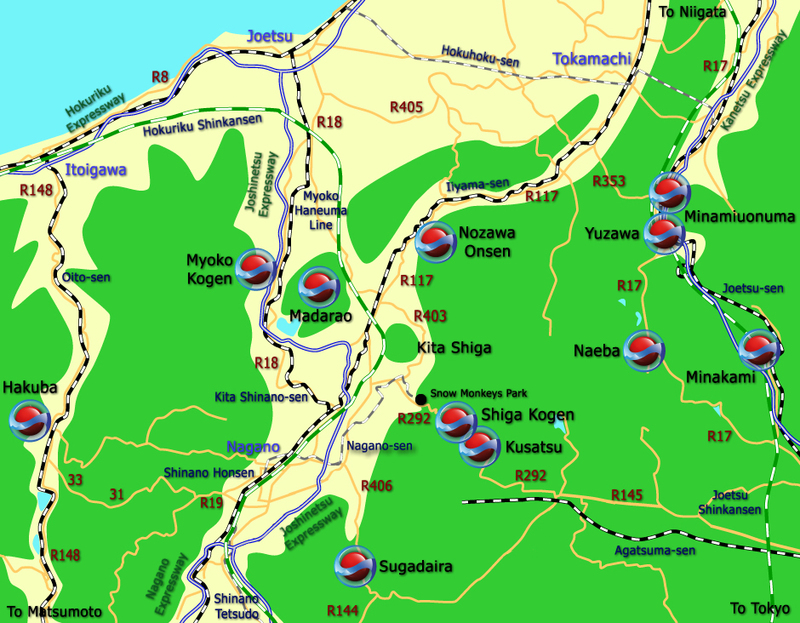 Joshinetsu refers to the old names of the three prefectures in the region - Gunma Prefecture （former name Kozuke 上野）, Nagano (former name Shinano 信濃） and Niigata (former name Echigo 越後）. This region is home to a large number of ski and snowboard resorts in Japan and many of the larger famous names. Click on the regions, train lines and expressways names for more information.